Illustration for the epic Das Nibelungenlied (1840). 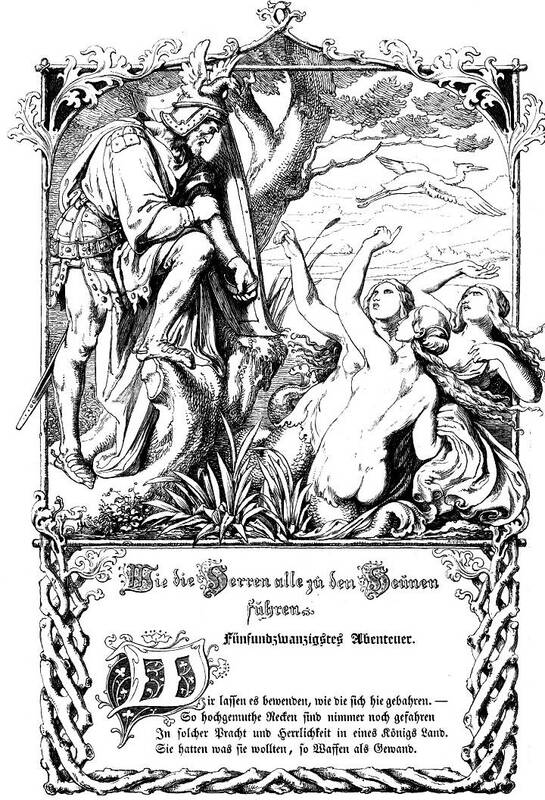 The illustration typifies the use of rustic motifs combined with medieval and mythological figures that is found throughout German illustration of the 1830s and '40s. Das Nibelungenlied. Leipzig: Wigands, 1840 .